Parag Saxena is a Founding General Partner and CEO of New Silk Partners a USD 1.383 billion fund founded in 2007 focused on making investments in India and the sub-continent. He is also co-founded Vedanta Capital LLC a U.S. venture capital firm founded in 2006. Previously, he was CEO of INVESCO Private Capital, one of the world’s oldest and largest independent asset management companies. During the course of his 23-year tenure at INVESCO, the firm and its predecessors made over 300 investments, including Amgen, Costco, PictureTel, Polycom, Staples and Starbucks. He was responsible for both direct and fund of funds investment activities where he led over $8 USD billion in peak assets. At INVESCO Private Capital, he led over 90 investments, a third of which went on to become public companies. These include, Alkermes, Celgene, Genomic Health, Indigo, Masimo, Transgenomic, Xenon Pharmaceuticals, Amber Networks, ARM Holdings, MetroPCS and Volterra. Parag has been named several times to the Forbes’ Midas list which ranks the world’s best global investors. During his continuous 35 plus year career in making investments, he has helped to build operational and strategic teams and to grow companies that enjoy a market capital exceeding $500 billion and created over 500,000 jobs. In India and the region, NSR’s investments have helped create 80,000 incremental jobs. Parag has served on committees advising various Indian Government leaders and teams on foreign direct investments. In the U.S., he has also provided recommendations on small business and venture capital to representatives to the U.S. Congress. From 2003 and 2010, Parag was the President of the entrepreneurial network “The Indus Entrepreneurs”, TiE Tri –State (NY, CT and NJ). He also served on Mayor Bloomberg’s Applied Sciences NYC Advisory Committee. A Trustee at the Bharatiya Vidya Bhavan in New York, Parag is also a Director of the Heritage Fund of the Indian Institute of Technology, Bombay. 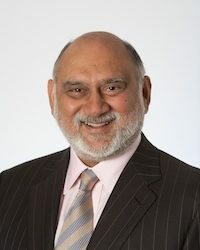 He is on the Advisory Board of the Center for Advanced Studies on India at the University of Pennsylvania and the Indian Advisory Council of Brown University. Parag also serves as on the Global Advisory Board of the Wilson Center, in Washington D.C., and on the Economic Advisory Council for the Center for American Progress, also a D.C. based think tank. Parag is on the U.S. Advisory Council of the Royal Shakespeare Company and has served on the Board of the Global Alliance for TB Drug Development. Parag received an M.B.A. from the Wharton School of the University of Pennsylvania. He earned a B.Tech from the Indian Institute of Technology, and an M.S. in Chemical Engineering from the West Virginia College of Graduate Studies. An India enthusiast, a long-time supporter of education, holistic healthcare and the arts, Parag is an avid lover of tennis, skiing, yoga, Ayurveda and a student of the stars.